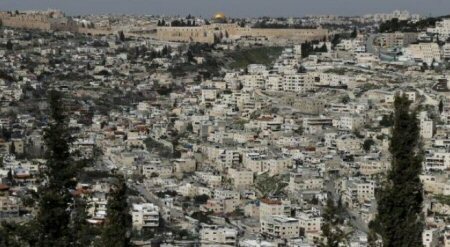 Israeli occupation authorities, on Tuesday, issued a court order against the Maragha family, demanding the land on which they built their residential building, located in Batn Al Hawa neighborhood in Silwan town, south of Al Aqsa Mosque. The Wadi Hilweh Information Center (Silwan) said, in a statement on Tuesday morning, that the Ateret Cohnim company, a Jewish company aiming to ethnically cleanse Palestinians in Jerusalem, had handed over judicial orders to nine members of the Maragha family carrying their names, saying they must evacuate the land on which they built their residential building consisting of five apartments and parking for vehicles. The building is inhabited by 15 family members. The Maragha family explained, according to the PNN, that they have been living in the building for more than 100 years, and that they have all the supporting documents confirming their ownership of land and real estate. In turn, the Batn Al-Hawa Committee stated that the Maragha family building is part of the “Ateret Cohnim” plan to control five dunams and 200 square meters of the central part of Batin Al-Hawa neighbourhood, under the pretext of its ownership by Jews from Yemen, since 1881. The Israeli Supreme Court approved the ownership, of the settlers from Yemen, to the land. The committee added that the eviction also threatens 30-35 residential buildings in the area, where about 80 families (436 people) live, even though the entire population has lived in the neighborhood for decades, after the purchase of land and property from their former owners with official papers . It also pointed out that dozens of families also received similar judicial reports and submitted their objections and the cases are still in the corridors of the courts, asserting that they will respond and object to judicial orders aimed at evicting the Maragha family from its building. In a similar story, Israeli police last month forcibly evicted a Palestinian family from their home in the Muslim Quarter of Jerusalem’s Old City, after the Israeli supreme court ruled that Jewish settlers were the rightful owners. The family of Hatem Abu Assab has lived in the house for three generations, since the 1952, after they fled their homes during the 1948 Nakba.